My name is Alan Morton and, originally from Yorkshire, but have lived in Hook (North Hampshire) since 1994. I am a fairly recent returner to keeping tropical fish (5 months now), although I did have two fairly large tanks around 35 years ago! I have set-up a 42" x 15" x 12" community tank as 'a starter', but am gradually changing to introduce a few of the small peaceful cichlids i.e. 5 rams, pair of kribs, 2 keyhole cichlids and 3 festive cichlids. I also love the corys and catfish. I would be interested in joining any relatively local tropical fish club. Also, if there are any exhibitions coming up soon. That's a nice sized tank, plenty of floor space for cichlids. No idea about fish clubs. I've been looking for one in the North East and there seems to be very limited info online. FBAS (Federation of British Aquatic Societies) keeps on turning up with local affiliates but it doesn't look like a well maintained website (fbas.co.uk/Members.html). I think looking for a facebook page may be more fruitful. 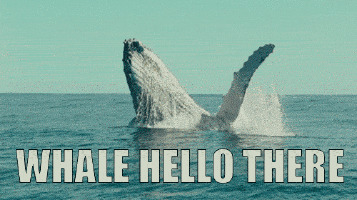 And a warm welcome from deepest, darkest Whales Wales. Topics that relate to "Hello from Hook, Hampshire"